Current State of the DSO Market On Thursday April 25, Provident and Pepper Hamilton are co-hosting a webinar which will focus on private equity-led investment and consolidation activity within the dental sector. Please join us by registering for this complimentary webinar. 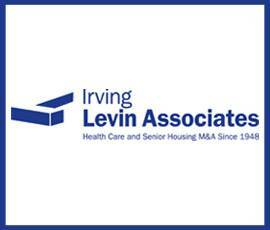 Ambulatory Surgery Centers M&A: Are They the Answer to Lowering Costs?– Justin Hand was a panelist on Irving Levin Associates webinar on Thursday, October 11. Consolidation in Dermatology: Key Business & Legal Considerations for Dermatology Groups– On July 24, 2018, Provident co-hosted a complimentary Webinar with Epstein Becker and Green, which focused on consolidation in dermatology. Private Equity Investment in Eye Care: How Do You Determine the Best Partner for Your Practice– On May 31, 2018, Provident will be co-hosting a complimentary Webinar with Epstein Becker and Green, which will focus on the diverse transaction options available to ophthalmology practices in today’s market. Consolidation in Radiology: Key Considerations for Independent Groups– On January 23, 2018, Provident co-hosted a complimentary Webinar with Epstein Becker and Green, which focused on consolidation in the radiology space. Private Equity in Urology Webinar Presentation– On October 3, 2017, Provident co-hosted a complimentary webinar with Epstein Becker and Green, which focused on private equity investment in the Urology Space. Private Equity in Gastroenterology Becoming a Platform– On September 20, 2017, Provident co-hosted a complimentary Webinar with Epstein Becker and Green, which focused on why we expect to see consolidation trends in the gastroenterology space continue to grow and the impact this could have on your practice. Orthopedic Groups: The Newest Focus of Private Equity Investment– On July 27, 2017, Robert Aprill and Gary Herschman discussed orthopedic groups, which have become the newest focus of private equity investment.